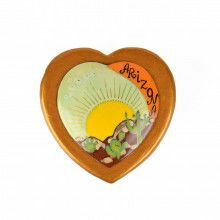 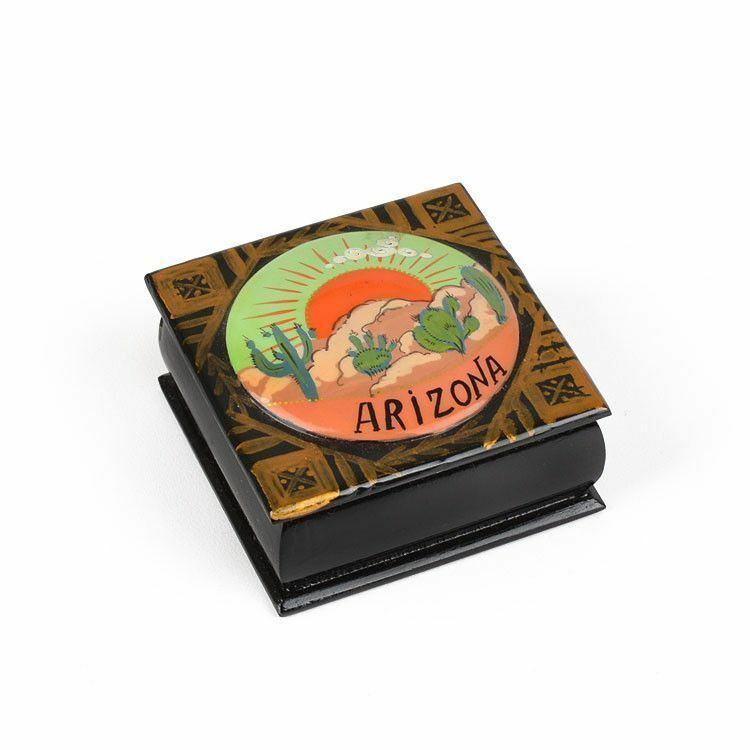 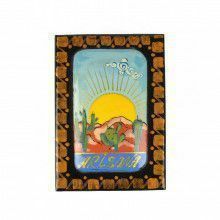 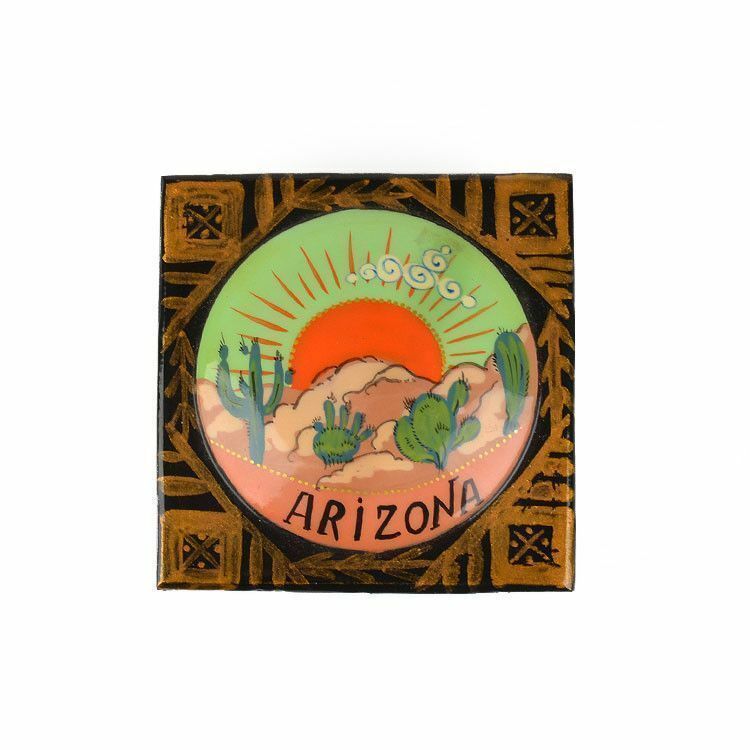 This square lacquer box features an Arizona desert theme painting. 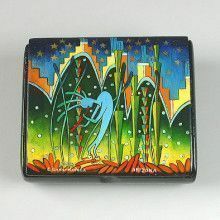 The small box is about 2 1/4" by 2 1/4" by 1 1/4" in size. 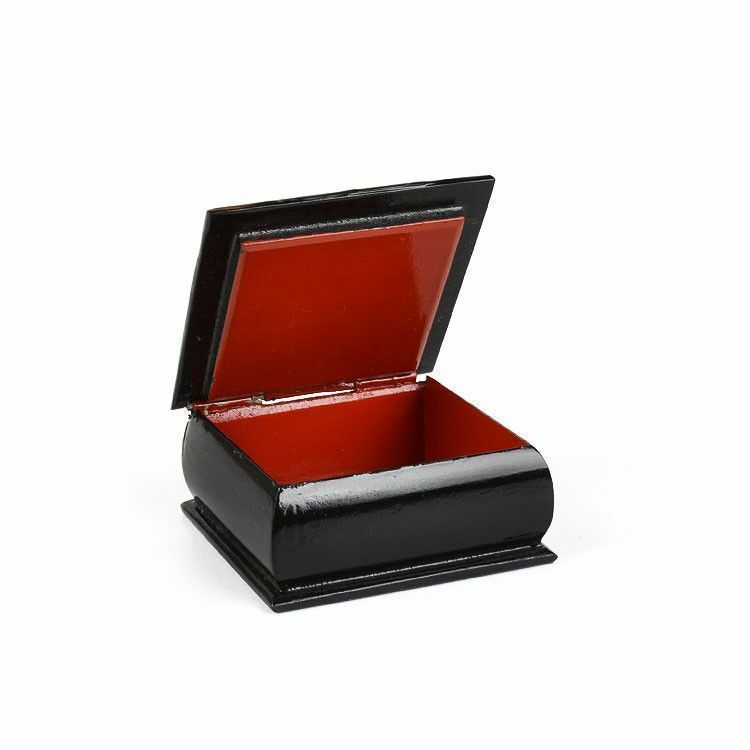 It is ideal for holding jewelry or other small and special items. 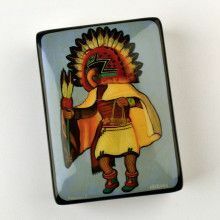 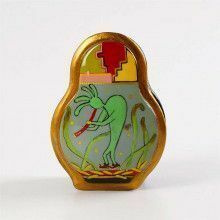 Makes for a very unique gift; it was made in Russia with paper-mache and layered with clear lacquer.